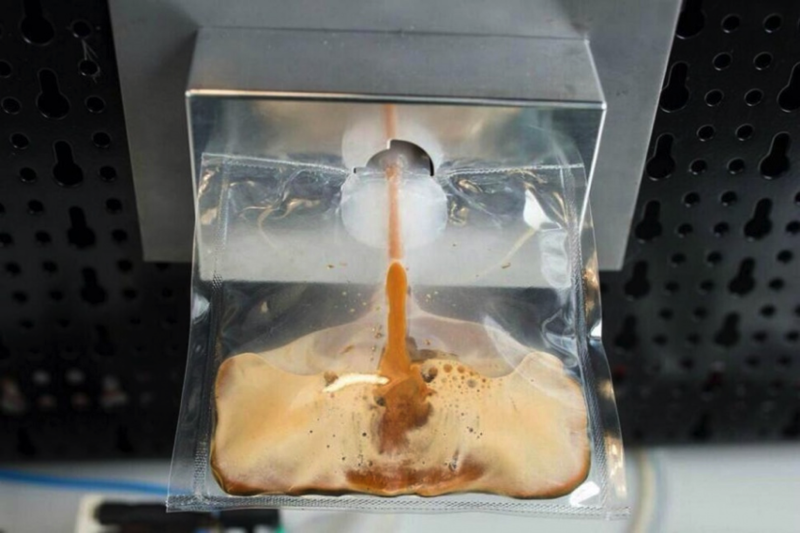 Coffee on its way to space station, made by ISSpresso coffee machine #space « Adafruit Industries – Makers, hackers, artists, designers and engineers! 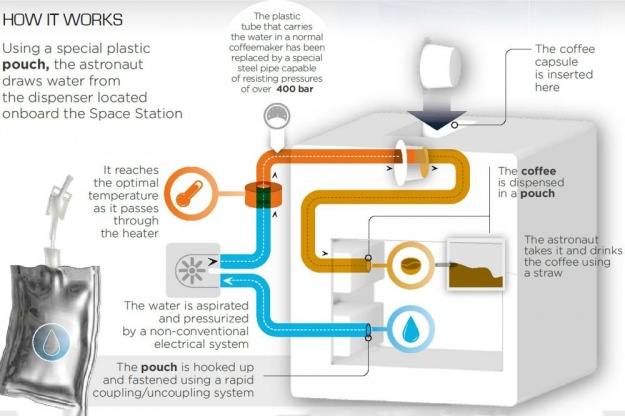 Digital Trends has the story on this awesome new machine that will enable astronauts to get caffeinated. After a hard day’s space walking, astronauts would probably love nothing more than to strap themselves securely into their favorite armchair and relax with a cup of freshly brewed coffee as they…ahem…watch the world go by. With Starbucks yet to open an outlet 250 miles above Earth (hey, give it time), space travelers have been faced with a limited number of options when it comes to beverages, though thanks to a recent collaboration between space-food specialists Argotec and coffee company Lavazza, that looks set to change. The companies, both Italian (well, what did you expect? ), said their revolutionary machine can deliver the “perfect espresso” in a weightless environment, as well as other drinks such as tea, infusions and broth. It gets better – the machine will apparently be placed in a new ‘corner cafe’ on the ISS, “a hub for socializing on board the station.” Corner cafe?!? It seems Starbucks really does have a chance to open a branch in space. Does not look that different from the Starbucks machine, military grade tubing not withstanding, or even a keurig – just have either push fluid into a bag instead of a cup.